Pieces I have written for academic work including essays and drafts for my PhD thesis on a psychogeographical study of Sylvia Plath and Ted Hughes’ Cambridge. Plath and Hughes wrote their history upon Cambridge; my research walk will begin with both writers’ Cambridge poetry and loiter along the way in their stories and memories, sketches, archives and places. 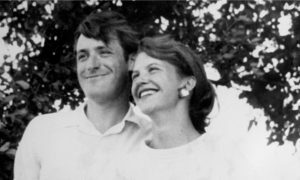 The doctoral thesis will record this wander to construct the first shared literary, psychological, sociological and biographical geography of Hughes’ and Plath’s Cambridge.